CALGARY, AB--(Marketwired - April 20, 2017) - Summit Air announced today that it will be opening an operating base at the Calgary International Airport (YYC) to support its growing footprint in Western Canada. Summit Air provides fly-in, fly-out (FIFO) crew movement solutions to a number of mining clients in Canada's north, using its fleet of Alberta-based jet and turboprop aircraft. 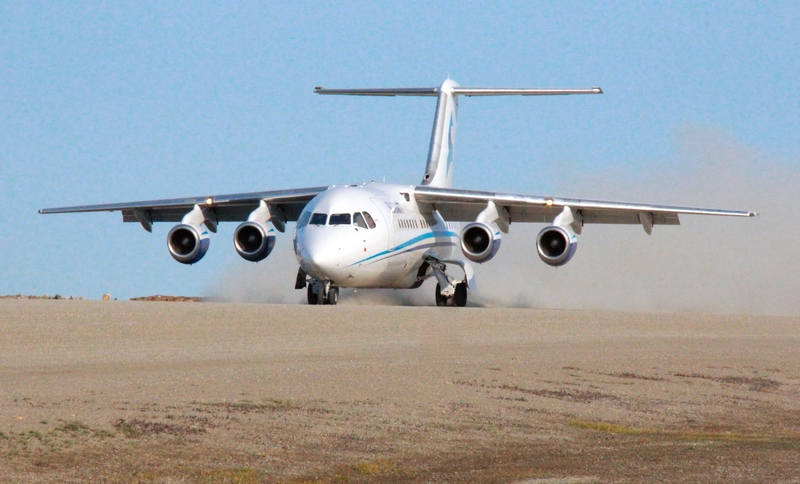 Simultaneously, Summit Air is pleased to announce the acquisition and deployment of its first AVRO RJ 100 jet aircraft. "We have had a Calgary base in our plans for a number of years. Some of our clients have come to us recently and expressed a desire to move their workforce rotations out of Calgary which aligned well with our long-term strategy," said Paul McElligott, President of Summit Air and President & COO, Ledcor Resources and Transportation. "Adding Calgary as an operational base will facilitate further growth into the southern markets not currently serviced by Summit Air and will help connect our jet fleet flights to Canada's third largest airport, and its network of national and international flights." Summit Air operates a fleet of AVRO regional jets (RJs) which are ideally suited for safe, reliable and rapid transport of work crews between conventional airports and undeveloped airstrips at remote mine sites in the Canadian North and beyond. Summit Air's AVRO RJ-85s and AVRO RJ-100 can carry 90 and 111 passengers respectively. 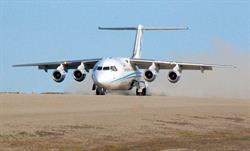 "We have been operating our AVRO RJ-85 fleet out of Yellowknife and Edmonton for the past two years and the aircraft have been well-received by the market," said Lane Zirnhelt, Chief Operating Officer, Summit Aviation Group. 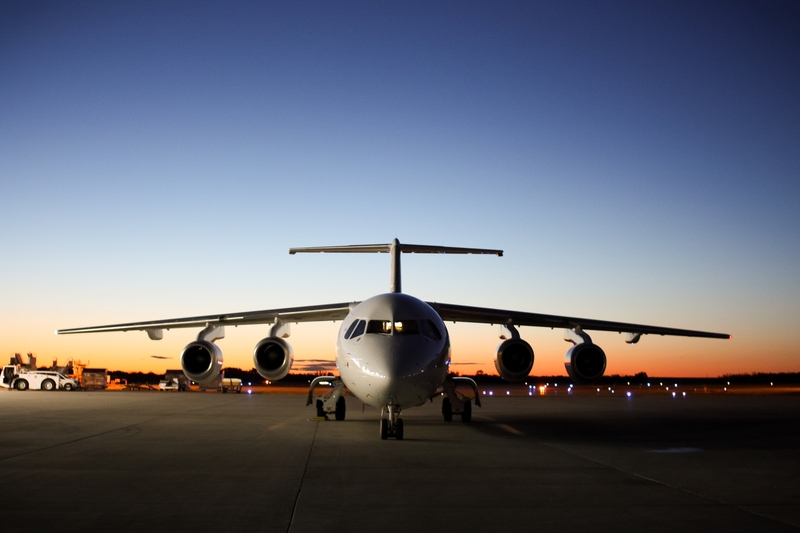 "With the addition of the Calgary operating base, we have also added an AVRO RJ-100 aircraft to our service offering, addressing the requirement for additional capacity, as well as fleet redundancy." "We have short listed a handful of possible locations for our base and we are in the final stages of negotiations. The base will be fully operational by the summer of 2017," said Zirnhelt. The AVRO RJ-85 is a 90-seat high performance, short-haul passenger jet, offering modern, efficient operations on flights up to 1500 nautical miles (2,800 kilometres). Rugged and versatile, its high wing design is capable of operations on both paved and gravel runways and is equipped with a self-contained boarding air stair and auxiliary power unit to provide independence at remote airfields. The AVRO RJ-100 is an elongated version of the RJ-85, with a fuselage that is 10 feet longer and a seating capacity of 111. All three of Summit's AVRO RJ aircraft are in service now, and available for passenger charter services across Canada. The Summit Aviation Group is comprised of two federally regulated independent companies: Summit Air and Summit Helicopters -- both members of the Ledcor Group of Companies. 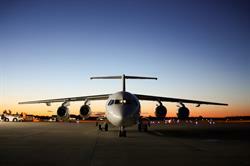 Summit Air specializes in the provision of charter passenger and cargo solutions. Summit Air currently owns and operates a fleet of 19 aircraft and its fleet includes: the AVRO RJ100, AVRO RJ85, ATR 72 (passenger), ATR 72 (cargo), Dash 8-100, Skyvan, Dornier 228, DHC-6 Twin Otter. Summit Helicopters, a western-based sister company, specializes in the provision of aerial medevac and firefighting helicopter solutions as well as support for the mining and exploration industries. Learn more about the Summit Aviation Group at www.flysummitair.com. The Ledcor Group of Companies is one of North America's most diversified construction companies, serving the building, oil & gas, infrastructure, mining, power, and telecommunications sectors. Ledcor also owns operations in property investment, forestry, aviation, and marine transportation services. Ledcor employs over 7,000 people across 20 offices, and numerous construction sites. Since 1947 we have been growing with our clients and partners: Forward. Together. Find out how at www.ledcor.com.